1. 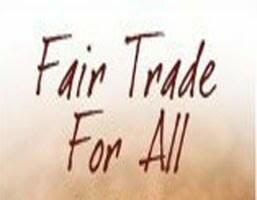 The concept of fair trade has been around for over 40 years but a formal labeling scheme wasn't launch until the late 1980s. 2. The first Fairtrade label was launched in 1988. It was branded Max Havelaar, after an imaginary Dutch character who opposed the use of coffee pickers in Dutch colonies. 3. In 1994, the 1st Fairtrade certified product was launched. Green & Black's Maya Gold chocolate was shortly followed by Cafe direct coffee and Clipper tea. 4. In 1997, Fairtrade Labeling Organizations International was established in Bonn, Germany to unite the labeling initiative under one umbrella and establish international standards and certification. 6. In 2001, Garstang in the UK declared itself the world first Fairtrade Town. There are now more than 320 Fairtrade Towns, 4,000 Fairtrade Churches, 37 Fairtrade Synagogues, and 60 Fairtrade universities across the UK. 7. One in all four bananas sold in UK supermarket is now Fairtrade with sales top GBP150m in 2007. 8. UK consumers spent GBP493m on products moving the Fairtrade mark in 2007. 10. As of the end of 2007, there were some 632 Fairtrade Certified Producer Organizations, on behalf of over 1.4m farmers and workers, in 58 countries in Africa, Asia and Latin America. 11. The Fairtrade scheme has its opponent. The Adam Smith Institute claims that the programmed sustains collegial farmers on their land, holding back diversification, mechanization and denies future generation the chance of a better life. 12. Tate & Lyle is to move its whole retail cane sugar range to Fairtrade.